For every dollar spent in store, one point is accrued to your rewards. 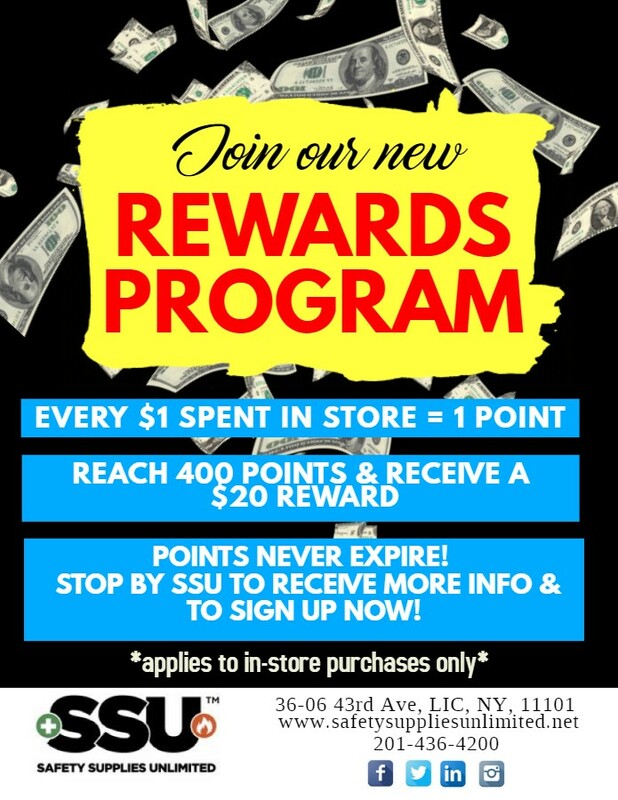 When you reach 400 points, you will receive a 20 dollar credit towards a future purchase at SSU. This is five dollars back for every 100 spent, at no cost to you. Your points never expire! Once you sign up, you can begin accruing points and never worry about losing them. Our Rewards Program is a FREE benefit to all SSU customers. Our rewards program is only eligible on in-store purchases, so stop by to our locations in the Bronx, Long Island City, and Bayonne, NJ today to start earning! Join our FREE Rewards Program and take Advantage of the Benefits Today!